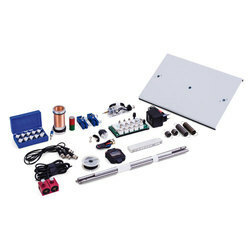 Specially designed kits for performing multiple experiments in Physics for school level teaching. Note: The 1014529 SEK Ultrasonic Waves is for operation with a mains voltage of 115 V (±10%), and the 1016651 set is for operation with a mains voltage of 230 V (±10%). 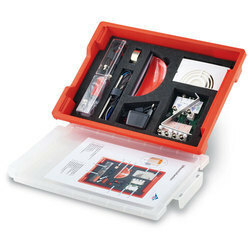 Note: The 1018476 SEK Mechanical Oscillations and Waves is for operation with a mains voltage of 115 V (±10%), and the 1016652 set is for operation with a mains voltage of 230 V (±10%). Large equipment set for carrying out 23 fundamental experiments on the properties of mechanical oscillations and waves. Stored in a tough Gratnell tray with foam inlay featuring recesses moulded to the shape of the apparatus and covered by a transparent lid. Includes CD with experiment instructions.